Homeless families are able to utilize the amenities provided by the New Bethlehem Day Center six times per week from 2 to 8 p.m. The New Bethlehem Project is one of the primary organizations involved with the permanent shelter. Courtesy of New Bethlehem Project. The facility will be the first of its kind on the Eastside. A women and family homeless shelter is coming to the Eastside. The 100-bed shelter will offer services that are either not provided or offered in limited capacities by various facilities on the Eastside. These services include on-site case management, housing navigation, access to several service providers and other amenities. The building will be 19,075-square-foot and will be divided into two shelters and a day center, each on separate floors. The women’s shelter will house 48 women and the family shelter will hold 50 people. According to city documents, the day center will provide case management, food preparation and service, a computer lab and storage of belongings and pets. The project has a massive partnership with several Eastside agencies, such as The Sophia Way, Catholic Community Services, the New Bethlehem Project and the Salt House Church, as well as the cities of Kirkland and Bellevue. A Regional Coalition for Housing has also driven funds for the project. Though design and construction for the shelter are roughly estimated to start sometime in 2019, there are still some variables that have made exact dates difficult to predict. Dunlap said the state funding cycle, which usually begins in the fall, was delayed due to the belated passing of the capital budget. Ordinarily, funding would have been distributed in December but, because of the setback, the timeline is off-cycle. In total, about $9 million will be spent on the shelter. The New Bethlehem Project and The Sophia Way are helping fund a portion for the project, having committed to raising $2 million for the planned shelter. Both intend to respectively raise $1 million with help from the community. 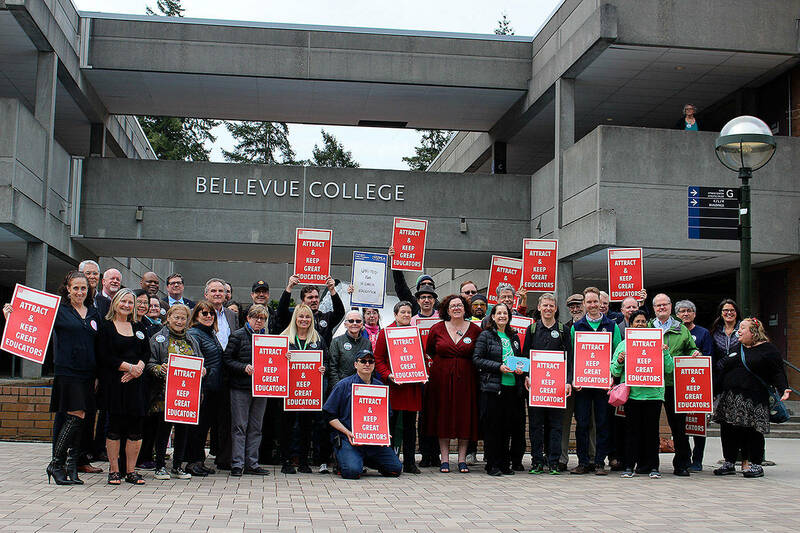 On March 5, the Bellevue City Council allocated $203,670 of the city of Bellevue’s Housing Fund to ARCH, which was established in 1991 to “fund the creation and preservation of affordable housing for low-and-moderate-income households,” according to city documents. Angela Murray, the executive director of The Sophia Way, said the city of Bellevue has been the “original lead” on emergency winter shelters since 2008. Now, as partners work to create permanent shelters, Murray said the city of Redmond has been the leader on youth services, the city of Kirkland will host a women and family shelter and the city of Bellevue is expected to build a permanent men’s shelter. Murray said The Sophia Way is committed to raising $400,000 to go towards operations, specifically, and will supplement that with public funding from King County and other Eastside cities. On Feb. 6, the Kirkland City Council voted to purchase land for the shelter. The purchase of the property acted as part of the city’s work program. The property was purchased from the Holy Spirit Lutheran Church for $600,000 and is part of an area presently occupied by the Salt House Church. The city and the current property owner hope to close the transaction in the next few months. Rebecca Nightingale, a St. Louise parish member and New Bethlehem fund development committee chair, said, “There has been no answer up until this point” as there has never been a shelter of this kind — one that is open 24/7 and to all demographics — on the Eastside. She said homeless families are often split up because men are not always allowed in certain shelters. Those involved with the project do not necessarily see the shelter as a solution to homelessness but rather a positive and necessary step. Murray said it is a reaction to a crisis-response system. “Crises don’t always happen during business hours,” she said. Dunlap added that, even once the shelter is built, it will not necessarily be “complete.” They will consider how it will continue to run effectively. To Kirkland city personnel and organizations involved with the shelter’s eventual construction, the purchase of the property signified a major step in the right direction. To donate funds to the women and family homeless shelter, visit eastsidecares.org. Reporter Raechel Dawson contributed to this article.